Sometimes life can be a little difficult in the land of electronics when two systems talk a different voltage language. How do you make them talk to each other without making one of them burn out? The Shield Shield is the answer. 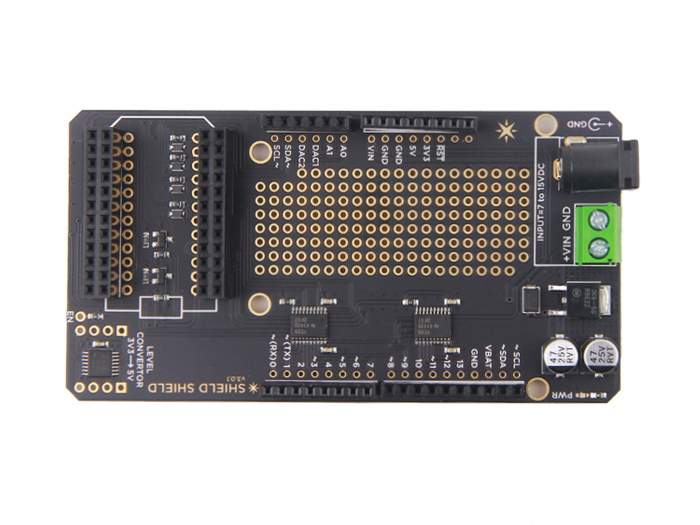 This shield performs all the necessary voltage translation and provides an Arduino-compatible footprint to make it easier for you to plug in your existing Arduino shields or talk to other 5V hardware. 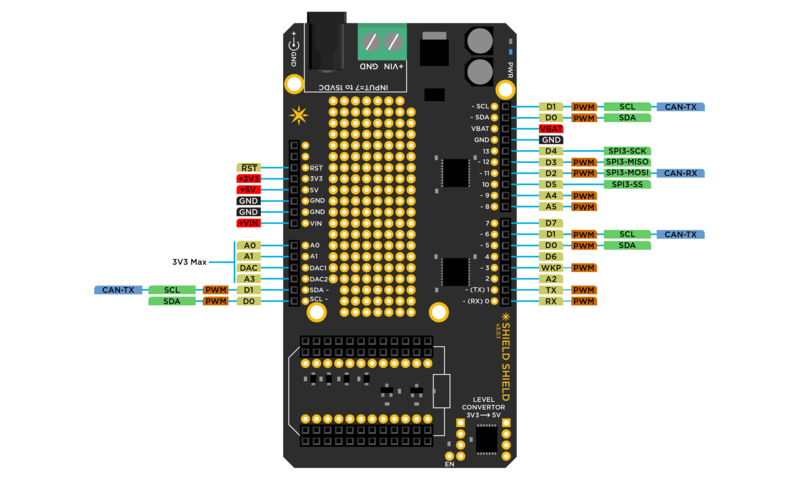 The shield converts the pin mapping of the Photon to Arduino pin layout and provides a voltage translation of 3.3V to/from 5V. It use Texas Instruments TXB0108PWR to do the voltage translation in between the Particle's device's 3.3V to a 5V logic. 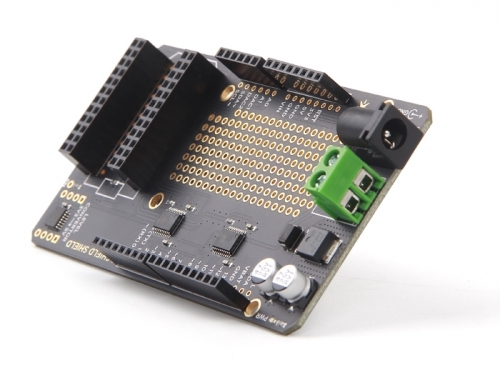 Unlike other IO pins, the analog pins are rated at only a max of 3.3V and NOT 5.0V. Please remember NOT to exceed this voltage at anytime. 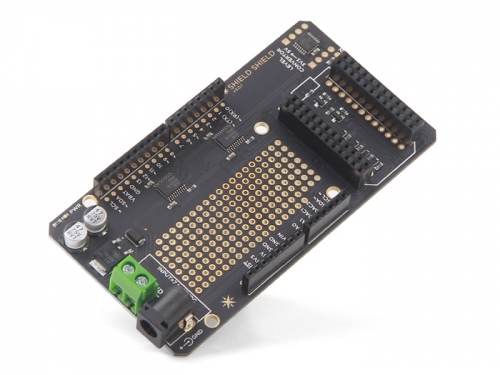 The shield has an on-board voltage regulator and can be powered from 7V to 15V DC source. You could also power it via the USB plug on the Particle device alone but the current would be limited to 500mA.